For some reason, back in November of 2017, Google were not delivering Pixelbooks to Australia. So I had to get a US based friend of mine to do the old "send it on" for me. The great frustration was that when FedEx failed to deliver (to an apartment in downtown San Francisco occupied by four people! ), they sent it back to Google. Google then organised a new delivery as part of the insurance coverage which I ordered on the original device which was cancelled because of their screwy ordering system. When the insurance replacement device arrived, Google had to organise to pick it up (so the third device which was part of the second order) could be dispatched. Except, Google could only order a pick up from my Australian address! Long and short of it was the device I ordered in November arrived in the second week of January. What a chore! BUT, it is here and I am loving it. I will keep this first post of the new year short. It is heavy. Heavier than the Pixel C.
Bending it into "tablet mode" still feels a little cumbersome and unnatural (ie: holding a tablet with keys on the back of the tablet. PRO's: Where do I start? The "on in seconds" feeling is great. Two seconds and I am working. Android apps on Chrome OS is amazing, and I hate the hipster use of "amazing" and "perfect". The implementation of Android apps is close to flawless. 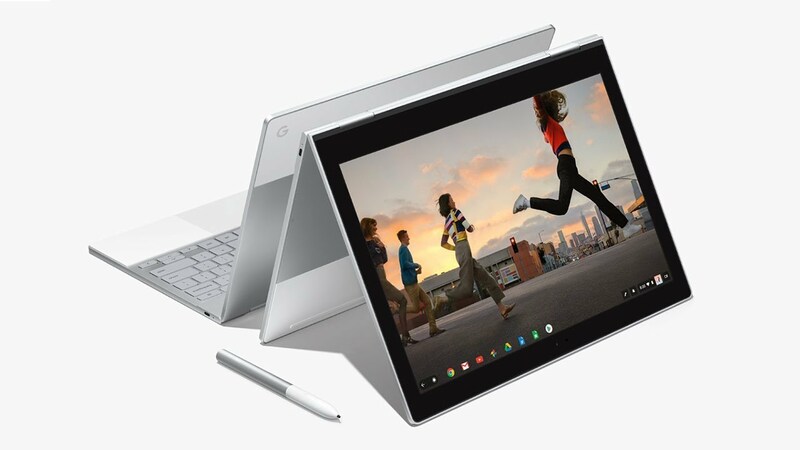 Which means my significant investment in Android apps over the years is not lost in the transition to the Pixelbook. The hardware is such that my Mac lovin friends are like "wow". However it is not excellent because it makes people envious. Google have really thought through the design of this thing. It looks great, it feels great to use. The keyboard, the track pad, jacks and slots, nothing short of excellent quality. Split screen? Apparently split screen is coming to Chrome OS on the Pixelbook, however I just don't need it. I mainly use Android apps and most of them when resized appear as thin panels. I can have several open at a time. It is actually more productive than the Pixel C in split screen. OS is fast, zippy and super solid. That is my short summary so far. I will write more about this in the next few weeks but needless to say, really impressed and really happy with this new kit. Let us know about your Pixelbook experience and of course, if you have any questions, just ask!